James Warden Clutter, 81, passed away at his home on Wednesday, June 20, 2018 surrounded by family and friends. Warden was born on February 15, 1937 to Christopher Columbus Clutter and Ocie Evel Garvin Clutter, and was raised on Elk River Road, along with his six brothers and sisters. While chopping wood as a young man, a piece of wood flew into his eye, leaving him blind in that eye. That would later be the basis for his nickname, Badeye. James married his childhood sweetheart, Betty Lee Goff on May 16, 1959. There are many sweet stories about pie socials and secret meetings at church in their early days, which culminated in a lifetime of caring and affection. They shared 59 years together, raised their three children in a happy home, and did so while setting an example of true love and commitment. Warden is survived by his three children: Linda Myers of Parcoal, Penny Graham and husband, Chris, and John Clutter and wife, Lisa, both of Webster Springs; five grandchildren: Nick Myers and wife, Cassie, Jonathan Clutter and companion, Sarah, Taylor Graham and companion, Blake, Zachary Graham and wife, Toni, and Madison Graham, and fiancé, Austin; four great grandchildren: Brogan, Kash, Knox, and Baylor; two siblings: Aretta Lewis of Painesville, OH, and Louise Smith and husband, Rich, of Webster Springs; and several nieces and nephews. In addition to his parents, Warden was preceded in death by one grandchild, Justin Owen Myers; four siblings: Ann Bruffy, Doshie Wright, Delbert Clutter, and Paul Clutter; and one son-in-law, Tim Myers. 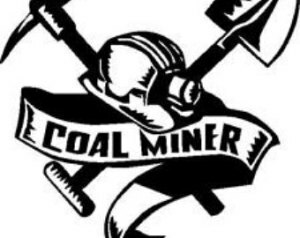 Warden was a coal miner for the majority of his life but he was also very entrepreneurial. Over the course of his career, he owned and operated a number of businesses. His work ethic served as a model for his children and grandchildren. Even in retirement, he lived to work, either on his farm or on any of his many other projects. Rabbit and squirrel hunting and fishing were his passions, and he was equally talented in all. He was known for always catching the most or biggest fish or for having the most success on hunting days. He was an avid gun and knife collector and looked forward to going to gun shows with his son, John and going to yard sales with his wife. He loved seeing his grandkids and sharing his stories and wisdom, and thoroughly enjoyed his four great grandsons, whom he visited nearly every day. He enjoyed gardening and sharing his crops with friends and neighbors. Over the last few years, he thoroughly enjoyed his daily ritual at the Round Table at Vickie’s Restaurant where he and his friends met every morning for coffee and a good round of gossip. Warden was a member of the United Pentecostal Church in Webster Springs. Friends and family will gather at the Dodd & Reed Funeral Home at 155 McGraw Avenue in Webster Springs, WV from 6-9 p.m. on Saturday, June 23, 2018. Funeral Services will be held at 2 p.m. on Sunday from the Dodd & Reed Funeral Home Chapel with Reverend Paul Rounds officiating. 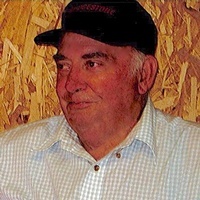 Interment will follow under the direction of Tomblyn-Clutter Funeral & Cremation on the family farm up Back Fork. Tomblyn-Clutter Funeral & Cremation is honored and privileged to serve the family of James “Warden” Clutter.